Blend watermelon and sugar in processor until smooth. Strain puree into bowl, pressing on solids to extract as much fruit as possible. Place cups in shallow baking pan. Spoon watermelon puree into cups, dividing equally (scant 3 tablespoons each). Freeze until mixture is almost frozen, about 2 hours. Cover cups with rounds of foil, sealing tightly at edges. Using tip of small knife, make 1/4-inch slit in center of each foil cover. 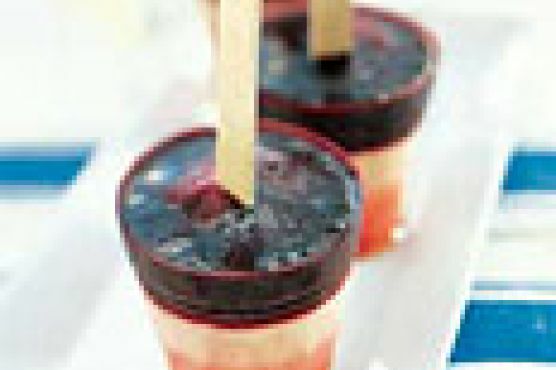 Push ice pop stick through slit and securely into watermelon ice without hitting bottom of cup. Freeze until watermelon ice is solid, about 1 hour longer.